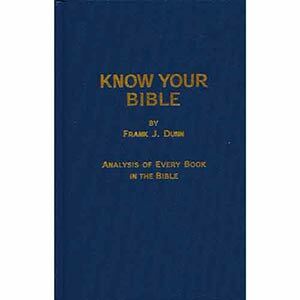 Know Your Bible is a one-volume study guide that includes an analysis and summary of every book in the Bible, both Old and New Testaments. 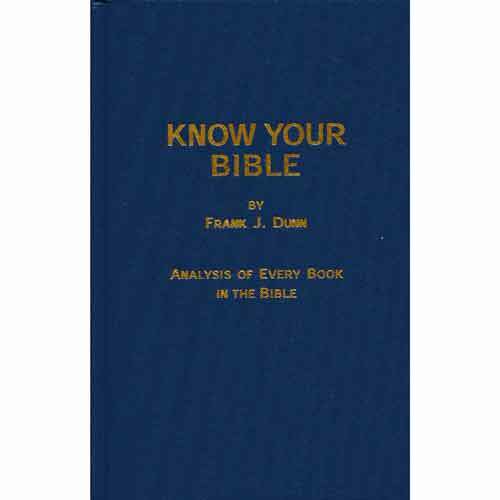 Each summary includes key words, verses, phrases, and chapters crucial to understanding the meaning of the book. In addition, each summary includes sections on the subject, appeal, and background of the book, with paragraphs devoted to the main theme, author and date, main divisions, and other important information. Dunn expounds on enduring messages and lessons we can learn from each book. Some analyses include expanded outlines. 46. What Is the Bible?